With nearly one third of all people worldwide using traditional Chinese medicine (TCM) as primary care, it is one of the most widely used health systems in the world. More than ever before, Westerners are experiencing its benefits and choosing TCM instead of, or in combination with, their biomedical treatment. In fact, even as medical science and technology advance, TCM is the fastest growing health system. An ancient tradition is indeed the medicine of the future. 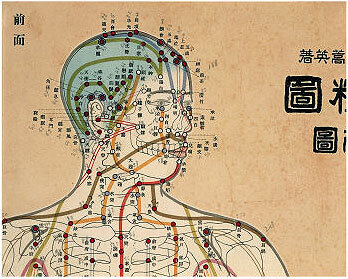 Traditional Chinese medicine is a complete medical system designed to treat disease and promote health and longevity. TCM includes acupuncture, moxibustion, gua sha, cupping, Chinese herbology, bodywork, dietary therapy, and mindful exercise. Traditional Chinese medicine uses an energetic model of the body, rather than a biochemical one. Qi, your vital energy, and blood travel through pathways, or meridians, to activate organ function to support health of the body, mind, and spirit. When there is a disharmony of qi, blood, or the meridian system, symptoms of imbalance, pain, or disease will emerge. Acupuncture and herbs treat such disharmony.